The Department of Teaching & Learning is offering a course in Autumn 2017 offered to graduate students in other programs. This three credit hour course is recommended for individuals who do not have a strong academic background in education. Dr. Edmiston has taught EDUTL 6050 for the past three years to domestic and international students where they develop understanding of the core concepts of learning and teaching in relation to stories of their own experiences as well as examples from U.S. classrooms. The class will meet on 6 Saturdays (August 26, September 2, September 30, October 21, November 4 and December 9) this Fall from 9am-4pm at Graham Expeditionary Middle School (GEMS) located at 140 E. 16th Ave. Columbus, OH 43201. There is a second section of EDUTL 6050 being offered this fall. The course will meet Mondays from 7:10-9:30pm in 384 Arps and will be taught by a lecturer, NOT Dr. Edmiston. 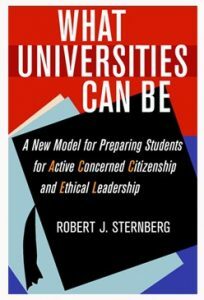 Robert Sternberg will discuss the main themes from his new book, including “a new model for preparing students for active concerned citizenship and ethical leadership”. Robert J. Sternberg is Professor of Human Development in the College of Human Ecology at Cornell University. 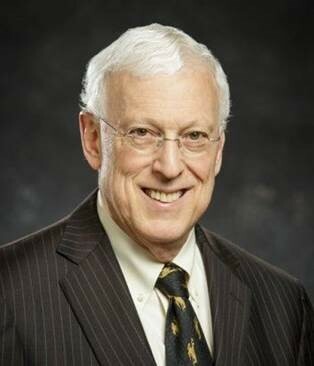 He was previously President and Professor of Psychology and Education at the University of Wyoming. Before that, he was Provost, Senior Vice President, Regents Professor of Psychology and Education, and George Kaiser Family Foundation Chair of Ethical Leadership at Oklahoma State University. He is also Honorary Professor of Psychology at Heidelberg University. ESGSC End of Semester Events! The Educational Studies Council of Graduate Students is hosting two end-of-semester events to help ease some of your stress. Drop by the Student Services office (122 Ramseyer Hall) to pick up a treat to power you through your evening class! A writing/study event in Ramseyer 136 with pizza ordered around dinner time and snacks and drinks available throughout the evening. Feel free to drop by anytime. In recognizing the important role of music, spoken word and poetry in social justice movements- and in celebrating National Poetry Month, the EHE Office of Diversity, Inclusion and Community Engagement invites members of our College, University and the Community to come together to enjoy live performances of music, poetry, spoken word and dance. Interested in performing? Please register at: https://osu.az1.qualtrics.com/jfe/form/SV_eFhKNDGOiItKhoh. For more information about this event, contact Carlotta Penn (penn.123@buckeyemail.osu.edu). 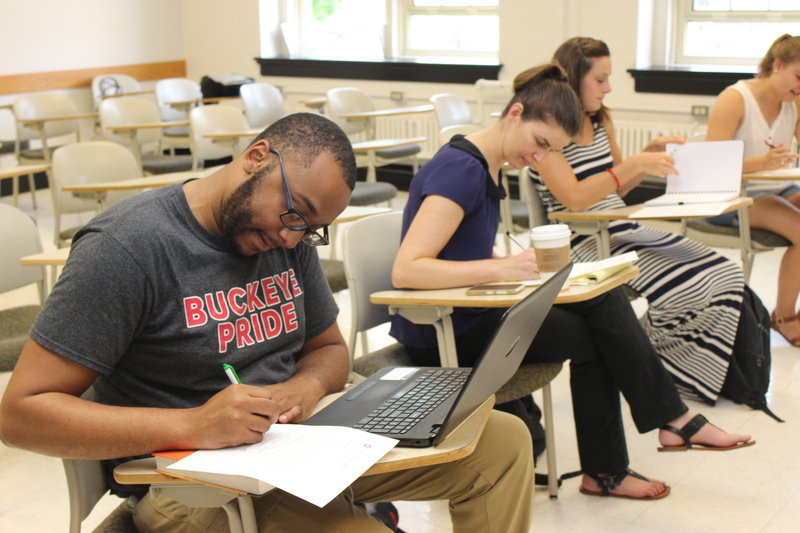 The interdisciplinary reverse-mortgage research team at OSU is seeking a graduate research assistant to work on a research project that studies the relationships of food insecurity among older adults, housing costs, and home equity borrowing. The GRA’s task includes data assembly and directed statistical analysis using the Health and Retirement Study and the Panel Study of Income Dynamics. The start date is August 22, 2017. The position is for 9-12 months, 20 hours per week, and includes monthly stipend and tuition. Experience analyzing panel data sets; experience using the Health and Retirement Study (HRS) and the Panel Study of Income Dynamics (PSID) is preferred. Experience using STATA statistical software to analyze longitudinal data sets. Email loibl.3@osu.edu with a CV by May 10, 2017. The team consists of Cazilia Loibl (Human Sciences), Don Haurin (Economics), Stephanie Moulton (Public Affairs), Julia Brown (Medicine), Wendy Xu (Public Health) and Michelle Kaiser (Social Work). The core team of Loibl, Haurin and Moulton has conducted funded research on the causes and consequences of home equity borrowing since 2012, with a focus on reverse mortgage borrowing. Results of this research are published in the Journal of Urban Economics, the Journal of Real Estate Finance and Economics, and Cityscape. Our current working papers were presented at the University of Michigan Retirement Center and the Federal Reserve Board. This research has received extensive national press coverage, see “In the News” on http://glenn.osu.edu/faculty/glenn-faculty/moulton/.